At the heart of most of our level and flow switches is a reed switch and it is imperative that due consideration is given to protecting it from damage. 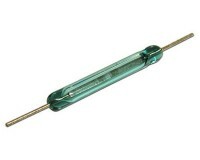 Reed switches are not suitable to be directly connected to heavy loads such as pumps and must be used in conjuction with a relay and even then suitable protection must be used. Please see the attached PDF bulletin for further details on the best way to protect the life of your reed switch.